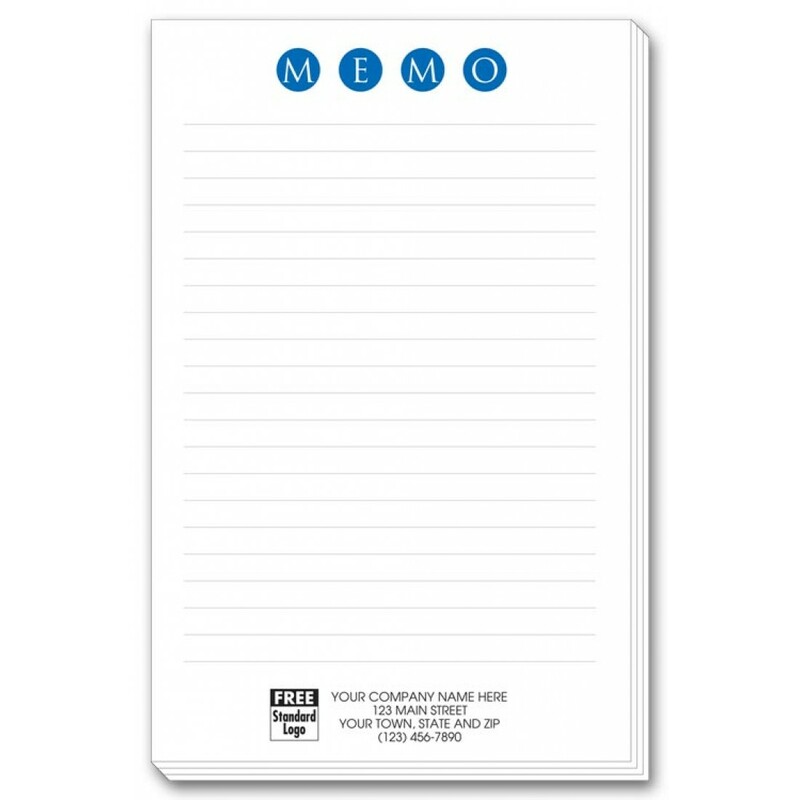 Large Memo Pads with Lines 3859 At Print EZ. 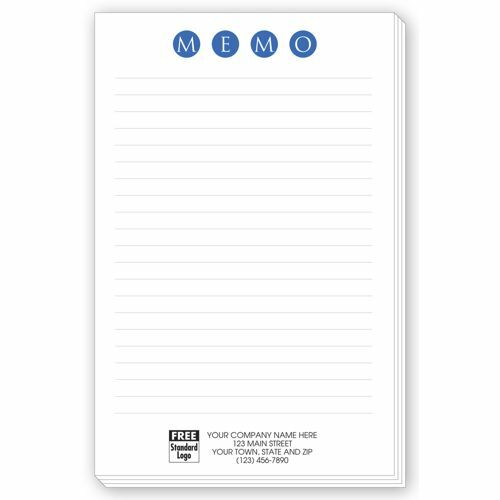 Large Memo Pads with Lines Item No. 3859 Size: 5 1/2" x 8 1/2"
When it comes to a combination of professional look and versatile usage, then our large memo pads with lines are the best. The word MEMO has been printed out on the top of each sheet and highlighted with a blue circles so as to catch your eye easily. The company name and logo has been given a slot at the bottom of each sheet, which definitely lends a lot of credibility to these memo pads and transforms them into official paper. Lined for you convenience, these pads are very easy to both write on as well as read. Be it noting down a simple message or writing out a number or making a short list, these memo pads are ideal for it all.